SUBSCRIBER SPECIAL: Buy tickets to both On-The-Edge shows for just $15! The Playhouse on the Edge series presents new, bold, and provocative contemporary plays that will challenge and enhance the experiences of Hartford area theatre audience. The setting is a rundown bar in the Bronx, where two of society's rejects, Danny and Roberta, strike up a halting conversation over their beer. He is a brooding, self-loathing young man who resorts more to violence than reason; she is a divorced, guilt-ridden young woman whose troubled teenage son is now being cared for by her parents. Danny, whose fellow truck drivers call him "the animal," seems incapable of tender emotion, while Roberta, who is still haunted by the memory of an ugly sexual incident involving her father, is distrustful of men in general. And yet, as their initial reserve begins to melt, and they decide to spend the night together, the possibility of a genuine and meaningful relationship begins to emerge—the first for both of them. In the end there are no facile, easy answers, but thanks to the playwright's skill and compassion, both characters are able to probe within themselves to find an exorcism and forgiveness that, while painfully achieved, offers the hope of a future touched, at last, with more than the bitterness and loneliness that had been their lot before their fateful meeting. An explosive, deeply affecting study of alienation and the redemptive power of love. "…a wrenching love story that swept through the downtown Circle in the Square last night like a tidal wave." —NY Daily News. that concludes in a loving embrace." —NY Times. "…a funny, frightening, hypnotically fascinating evening of theatre…" —Drama-Logue. ERIN KROM (Roberta) Playhouse on Park: Sally Bowles (CABARET). Other credits: Pittsburgh Rep: OF MICE AND MEN, THE VISIT; Geva Theatre Center and Cape Playhouse: THE ODD COUPLE; Pittsburgh Public Theatre: OUR TOWN; Everyman Theatre: PRIVATE LIVES; Secret Theatre: SIDE SHOW; Totem Pole Playhouse: CHAPS!, IT COULD BE ANY ONE OF US; New York Musical Theatre Festival: MY ILLUSTRIOUS WASTELAND; Civic Light Opera: A MUSICAL CHRISTMAS CAROL; Pittsburgh Irish & Classical Theatre: A WOMAN OF NO IMPORTANCE, HENRY; Dog & Pony Show: RHINOCEROS; Pittsburgh Playhouse: DANGEROUS LIAISONS, RED, ANYTHING GOES; Tuacahn Amphitheatre: PETER PAN, SOUTH PACIFIC. 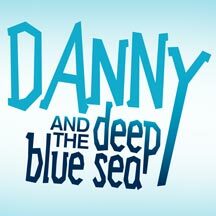 JONATHAN GREGG* (Danny) Playhouse on Park debut. Hartford Stage, NYMF: FEATHER, BLOOD BROTHERS; APAC: THE HUMAN COMEDY, MAN OF LA MANCHA; Gallery Players: SIX DEGREES OF SEPARATION; Prospect Theatre: ONCE UPON A TIME IN NEW JERSEY; Theatre by the Sea: MONTY PYTHON'S SPAMALOT; ReVision Theatre: THE FULL MONTY. TV: "Scorned" (DiscoveryID), "I Killed My BFF" (BioChannel), "Deadly Sins" (DiscoveryID),"Wade Barrett Comeback Promo" (WWE Productions). Thanks UIA family! Proud graduate of Belmont University and member of AEA. 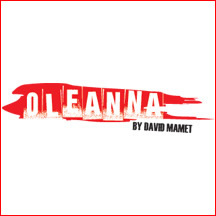 OLEANNA is Pulitzer Prize winner DAVID MAMET's most controversial drama. This gripping production has had audiences gasping and critics raving. arguments than any play this year." -NY Times. "One of the ten best plays of 1992.reason enough to cheer for the future of the theatre." -Time Magazine.